What does CTE/VET look like in the Netherlands? For some background context, the Netherlands has one of the densest populations, our economy is rated eighth in the world, and our PISA scores are in the top ten, with national goals to move ourselves into the top five.Â According to UNICEF, our children are the happiest in the world. Recently, consensus was reached on the nine â€œTop Sectors,â€ or the categories in which we excel and want to maintain our excellence. Â Among them are: water-management, food technology, energy, creative industry, high tech, and life and health. To continue to excel in these areas, Netherlands will need 30,000 people with the proper educational skills each year to account for job replacement and industry growth. Currently, the educational system is categorized by â€œstreamsâ€ where students are tagged as low, intermediate, or high performing. The big challenge is that not enough students choose a technical area of study in post-secondary education. Research shows that the perception among students is that technical courses are difficult and a career in a technical field is dull. 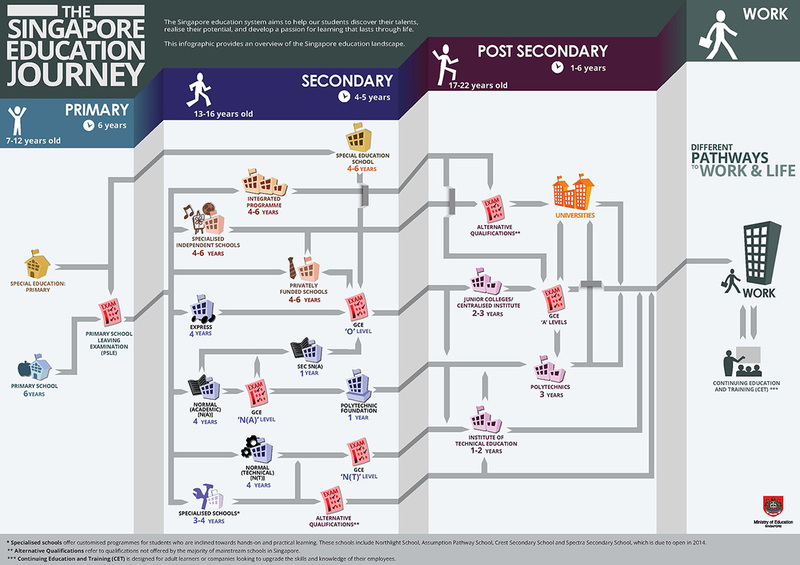 After primary education, a student can participate in secondary education within seven different streams, although many secondary schools combine them. Still, this many options for pupils at the age of 12 is a unique feature of our system. Regardless of a studentâ€™s categorization as belonging to a certain stream, our system is focused on providing pupils with the education that meets their needs, which has resulted in a very low dropout rate. Despite the low dropout rate, we have little upwards mobility in the school system in a time where we need everyone to reach their highest potential. In addition, secondary CTE is typically taken by students with lower academic achievement, while the academic track is taken by students who perform at a higher level. This has resulted in a very negative perception, and has made promoting CTE difficult. Another cause of this negative perception is the improvement in primary education and the ambition and pressure from parents, resulting in fewer students enrolling in the CTE streams and more in the academic paths. Also, academic pathways include little focus on Career Technical Education. While the traditional pathways through secondary schools for vocational education are decreasing in participation, we had hoped CTE in the academic route would develop. As this has not happened, it has left us with a skills gap and a sense of urgency. Please describe the current landscape of Career Technical Education/VET in the Netherlands. Overall, there has been a decline in CTE participation and in particular, a strong drop in the traditional courses for technicians and craftsmanship.Â However, there is some growing interest in newer courses, which combine technical education with entrepreneurship skills. The two trends combined means CTE enrollment in the upper grades has stayed somewhat consistent over time. A little over a third of third-year secondary students engage in CTE, out of about 200,000 students in total. Another opportunity is that more of our students are eligible for technical or science programs in higher education, particularly in the higher streams, even if they are not choosing CTE programs at this time. In fact the economic crisis was a big boost for students actually choosing technical and scientific careers. This is all to say there is potential for more students to choose CTE at the secondary and postsecondary levels. Every system has its challenges â€“ what are yours? What are some solutions you are looking to implement? Our first challenge is changing the perception of CTE Â in the country. We need to spread CTE throughout all schools for all students of all abilities.Â We need to eliminate the stigma that only low ability students should participate in CTE in our school culture, and instead make CTE available to all students on all levels, especially in the intermediate streams where there is a vast potential of talents and young people who wish for more attractive curricula and CTE. In addition to making CTE available for all students, we need to convince students and parents that there are attractive careers in CTE fields. Though increasing the number of CTE students is admirable, we need to convince students to go into CTE careers. Along with changing the perception of CTE, we need to nourish successful initiatives by schools and support them through legislation, intelligent governance and smarter systems of funding. There also needs to be clearer links between education systems. The three steps in a studentâ€™s education are primary, secondary and tertiary education, which all have their own systems and rewards.Â Essential skills for students to be successful in the next step of education are not sufficiently included in the reward system. This interview with Dr. Phillip Rutherford, one of the world’s leading experts on VET/CTE training and education systems, explores the CTE/VET system in Australia. He has been central in the introduction of such systems in many countries, including the United Kingdom, South Africa, Australia, New Zealand, South East Asia, and the Middle East. The interview was conducted by Katie Fitzgerald of NASDCTEc and is part of our ongoing series examining international education systems in partnership with Asia Societyâ€™s Global Learning blog on Ed Week. What is the progression of Vocational Education and Training (VET)/CTE in Australia? The VET system in Australia is unique in that it was among the first in the world to identify, on a national basis, the skills and knowledge required of competent employees in the workplace. Competent, in this respect, meaning not only the possession of certain skills and knowledge but also the proven ability to apply these in different situations and contexts, individually as well as in teams (where necessary), and in a managed, self-directed and self-motivated way. This enabled employers to have greater control over what was taught to potential employees and helped smooth their pathway into the workforce. However, over the years the processes has become more aligned with what adult educators are capable of teaching as opposed to what workplaces need, and has begun to lose its direct connection to the workplace. So even though VET in Australia continues to focus on trades and entry-level professional skills, those who teach within this system are expected to be in continuous touch with what current and future employers want from graduates of their courses even though that is not always possible. For example, in a large city it is easy to teach ICT programs on the assumption that students have access to a wide range of technology and software, whereas in a small country center it has to be assumed that students do not have such access. Regardless of access to the technology or industry, the curriculum remains pretty much the same and is just contextualized to local conditions. One unique feature of Australiaâ€™s VET system is that the standards against which vocational curricula are developed are based on the skills and knowledge required within individual industries, and are created to meet the needs of specific industries and trade sectors. They are not aligned against individual workplaces but are sufficiently flexible to enable trainers to contextualize their programs to meet the needs of local and regional employers. Studentsâ€™ skills and knowledge can then be assessed on the job and under realistic working conditions. Once students meet the standards â€“ whether through the studies they undertake as part of the course or by bringing forward skills and knowledge they gained elsewhere â€“ they receive the same certification as someone who entered the training program directly. What percentage of the student population is a CTE/VET student? 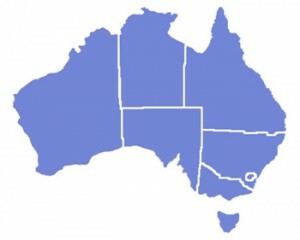 Students in Australia completing their secondary studies go either directly to university as undergraduates or into the labor market. Therefore, under law, all students must take part in VET studies, either integrated with their academic subjects or as stand-alone apprenticeships or trainee programs as part of their secondary education. VET is taught in schools as a means of giving all students part or all of a vocational qualification (certificate) prior to entry into the workforce. Like the U.S., each state in Australia has a slightly different approach to VET where some schools have comprehensive VET programs which they run themselves or programs which are conducted by an external training organisation and provide students with real workplace experience. Regardless of where the program is conducted, the standards remain the same across the country. What sectors/fields of study does it encompass? Which are most popular with students? The Australian VET/CTE system encompasses almost every trade, para-professional or professional field found in the workplace. The only areas not covered are those for which students must attend university to study such as engineering, medicine and dentistry. Therefore, students are able to study any subject they wish, just so long as the school has the capacity to support them. The choice of fields usually depends on student interest and the competencies required in those areas where they intend to seek work. For example, in rural areas subjects of study such as agriculture, water control, horticulture, transportation and nursing are very popular, while in urban locals subjects such as IT and management tend to attract the most students. There are also a lot of international students studying in Australia and they pursue skills that they can utilize when they return to their home countries. How is CTE/VET funded in Australia (publicly, privately, by federal or local funds, etc.)? For VET in secondary school programs, funding comes from the state government and is subsidized by families and, in some cases, employers who train and assess students in the workplace. National programs, such as programs for unemployed people and the socially disadvantaged, are funded by the state government as a study assistance loan. This means the costs of the VET program must be paid back when the individual graduates and earns above a certain wage. This is in effect, a loan paid by the state to the student (but paid directly to the training provider) that the student does not have to repay until they achieve an income above a certain level. Finally, individuals and/or the organisation with whom they are employed can pay on a fee-for-service basis. VET in Australia is not only taught in schools, but also by public and private training providers who serve secondary students, employees of companies and individuals who sign up to learn new skills or enhance those they already have. School-based apprenticeships and traineeships are generally run in conjunction with a private training provider. The government largely funds the creation of the curriculum against which all VET training is conducted, and provides a quality assessment of training providers registered to offer nationally-accredited courses. The training is conducted by qualified trainers who are employed by either public colleges (known as Technical and Further Education â€“ TAFE â€“ colleges) or private for-profit or not-for-profit training organisations. CTE is integrated within a framework or hierarchy of qualifications (certificates) known as the Australian Qualifications Framework. This framework starts with foundational knowledge and skills and increases in industry-specific knowledge as students move through their education and training. For example, Certificate I focuses on entry-level skills, Certificate II on skills for competent or experienced employees, Certificate III on skills for supervisors or those who need greater depth of understanding and so on. The VET hierarchy has eight certification levels with the last two integrated with undergraduate degrees providing students with the opportunity to earn Bachelors and Doctorate degrees. The certification structure is funded by the federal government, which provides financial support to industry bodies at the state level that create and administer the curriculum for each vocational or professional area. What are the major goals of VET/CTE in Australia? While it isnâ€™t the most inspiring goal, we consider it to be accurate and achievable. As can be seen, however, this â€˜purposeâ€™ has more to do with what the trainer or educator does than what the student achieves as a result. 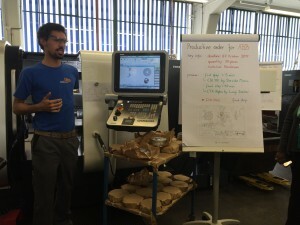 A Swiss manufacturing apprentice demonstrates his work. Photo courtesy of Heather Singmaster. Today Heather SingmasterÂ continues herÂ interview with Ursula Renold, head of the Education Systems field of research in the KOF Swiss Economic Institute on the Swiss vocational education and training system (VET or career and technical education system as we call it here in the U.S.). This is presented in partnership with Asia Societyâ€™s Global Learning blog on Ed Week . Many consider the Swiss system one of the best in the world. But every system has its challenges â€“ what are yours? What are some solutions you are looking to implement? Demographic changes: We have an aging workforce and not enough students to replace them in the VET system. 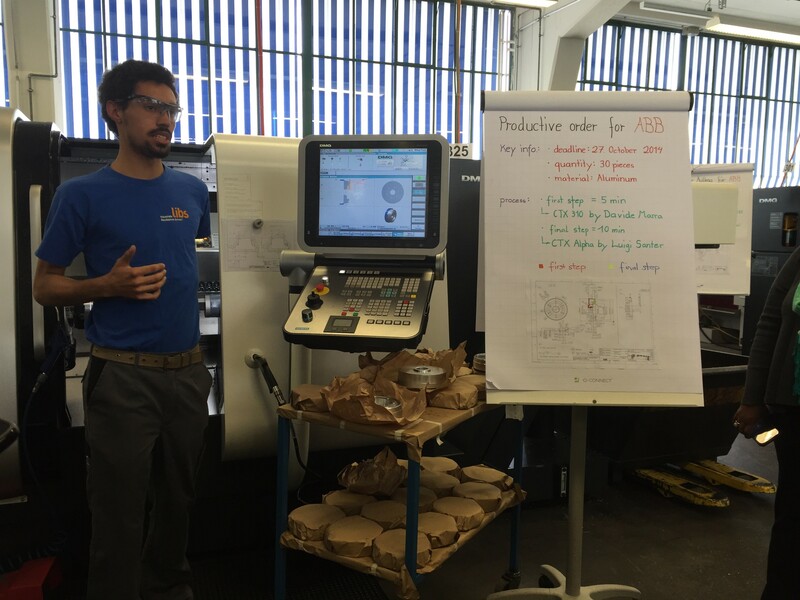 Therefore, we are looking at ways to â€œre-toolâ€ all employees and raise their productivity with further education. Potential perception issues: We continue to fear that too many parents will insist their children pursue a university pathway instead of the VET pathway, thereby weakening the economy (something experienced by Denmark, which also had a strong apprenticeship program). An international dialog and exchange of knowledge on the importance of VET competences to close the 21st century middle skills gap is one of the solutions to this problem. Another route is to connect the worldwide community of scholars and experts, which could provide the evidence and the rationale for well-balanced educational diversity. Globalization: The increase of international companies working in Switzerland threatens the VET system. These companies do not have a tradition of VET and are therefore less supportive of the system. It is very important to launch an information campaign for multi-national companies and newcomers to Switzerland who are not familiar with the VET system so that they can understand the comparatively outstanding outcomes of our VET system. What do you think the future of VET/CTE in your country looks like? I am confident our VET system will evolve in line with the changes in the world of work because of the role industry associations play in defining curriculum content and educational standards. These partners will continue to adapt those frameworks to meet the future needs of their industries every three to five years. Due to the fact that technology-forward companies often advance such revisions, small to medium size companies will continue to profit from spillover effects because they too will have to apply the best available technology if they would like to offer an apprenticeship. We also anticipate apprenticeships forming in new and additional industries if there is a need due to the high flexibility of our system. What advice do you have for other systems attempting to reform their VET/CTE systems? What are some of the policies in Switzerland that could assist others in overcoming the challenges they face in VET/CTE? Follow NASDCTEc, Heather, and Asia Society on Twitter. 1. 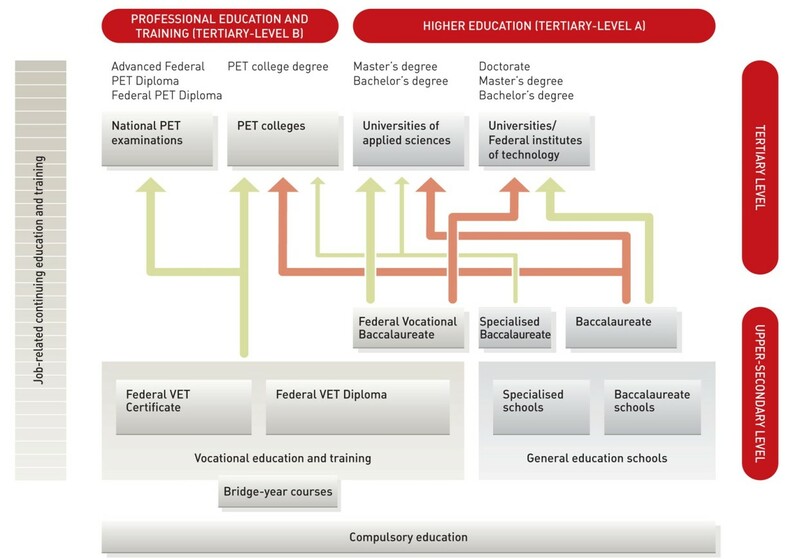 What is the progression of Vocational Education and Training (VET)/CTE in Switzerland? Please see the chart below as well. Students chose at age 15 if they want to pursue a traditional university route or if they will follow the vocational education pathway. All young people from eighth grade on have access to comprehensive guidance counselling. This includes access to a national, online database of available apprenticeships, career testing to see where their skills match to job or academic requirements and then assistance with applying for an apprenticeship. VET students will learn and work at an apprenticeship for three or four years, while simultaneously continuing their studies in math, science, languages, etc. These studies are tied to their career â€“ so they are learning in the classroom and then applying those skills on the job every week. When they finish they earn either a Certificate (for the two-year apprenticeships) or a diploma (for three- or four-year apprenticeships). More academically gifted young adults can earn a Federal Vocational Baccalaureate degree at the same time as or after the apprenticeship. This will allow them to enter directly into a University of Applied Sciences, which is a university that specializes in applied research and development. With an additional year of general education, young adults with a Federal Vocational Baccalaureate can even enter directly in a conventional university. Two out of three young adults are enrolled in VET/CTE, compared to the 25 percent of young adults who pursue the traditional university route after leaving compulsory school. However, we found that many of those students end up switching over to the vocational education pathway after a year of university or vice versa. Those with a VET background may continue their studies at universities. Switzerland offers around 230 VET pathways for young adults between the ages of 15 and 19. The most popular VET sector is the commercial sector, covering about 25 percent of all apprenticeships and including industries such as banking, finance, manufacturing, retail and travel. Other highly favored VET pathways are health care and information technology (IT). The VET system is run and paid for by three partners working together â€“ the federal government (or Confederation), the states (26 Cantons) and around 600 professional organizations representing industry. Both the government and the education community are clear that the system works because it is designed to meet the needs of industry. Therefore, the VET system enjoys enormous support from the employer community. The government works closely with business to set the standards and design the curriculum, putting industry associations in the driver seat for setting program expectations and content. Business also provides the apprenticeships and pays for more than half of the cost of the system because they regard the apprenticeship as a mid-term investment in their future workforce. Periodic cost-benefit analyses show that the costs are offset by the productivity of the apprentices during the two-, three-, or four-year apprenticeships. Employers see the system as beneficial both to themselves as well as to the students who gain experience, are paid good wages (averaging between US$700 – $1,000/month) and are treated with respect as adults. 3. What are the major goals of VET/CTE in Switzerland? Among others, the VET/CTE system should provide young professionals with the knowledge and skills relevant to the labor market so that they easily find a well-paying and satisfying job. The VET system should articulate the skills required by the labor market. Hence, the VET system has to secure the volume of labor market quantitatively and qualitatively that is necessary for prosperity and social development. Come back on Thursday for part two when Ursula discusses the common challenges of CTE/VET in Switzerland and the world and provides advice on overcoming them. Q: What are the challenges VET/CTE faces? What are some solutions you are looking to implement? A: There are multiple challenges faced by CTE globally. First, we need to ensure that the training programs are up-to-date and the curriculum is able to address the skilled manpower (workforce) needs of the economy. Working in close partnership with employers to plan and design the CTE curriculum, developing an authentic learning environment, and providing real work and workplace experience to the students are essential approaches adopted by ITE. Second, we need to understand the profile of CTE students and their learning behavior to better design pedagogic approaches and enrichment activities to bring out their full potential. Pedagogic innovation to make training fun and engaging will further help to develop and retain the interest of students in CTE, given their preference for activity-based learning. To a certain extent, ITE colleges are designed as “Education Wonderlands”, allowing students to acquire relevant skills and knowledge through fun and authentic learning activities. A: Partnership with industry is a key strength of Singapore’s CTE system. Over the years, ITE has established a network of industry partners to support its training programmes. These are industry leaders in their respective fields locally and globally, and they support ITE in the setting of skill standards and curriculum design, workplace training and attachment, skills promotion and marketing, employment and engagement of our graduates, sponsorship of students and industry project collaboration, and constructive feedback on both the performance of our student interns/graduates and the improvement needed in our training structure and contents. The labor movement in Singapore is also very active in promoting the importance of skills acquisition among their members. Many of the union leaders play the role of “skills champions” to encourage their members to acquire new skills and train for deeper skills to improve their career advancement opportunities and enhance their earning power. Q: What do you think the future of VET/CTE in Singapore looks like? A: CTE will continue to be a key component of Singapore’s education system in the years ahead. It is a key strength of our education and human resource development structure and a major contributing factor to the success of Singapore’s economic development over the past few decades. Moving forward, CTE in Singapore would evolve to further engage the employers in the training of the present and future workforce. While the present college-based CTE system has worked well in the past to prepare the youths for the workplace, given the fast changing economy and technology, the skilled manpower needs of the employers have also changed rapidly. To avoid a potential mismatch of the competency of our graduates with the skills demand of the employers amid this shorter product and technology life-cycle, we need to work in close partnership to redesign our curriculum to enable the acquisition of industry-specific and new skills at the workplace. Q: What advice do you have for other systems attempting to reform their VET/CTE systems? What are some of the policies in Singapore that could assist others in overcoming the challenges they face in VET/CTE? A: ITE in Singapore has gone through waves of transformation in the past two decades. We have raised the quality and image of CTE in Singapore and gained the acceptance and recognition by employers, parents, students, and the community as a whole that CTE is a viable post-secondary education option that can prepare youth for a rewarding career.Â We have developed three world-class campuses, designed to provide authentic learning environment to support the total development of our students. We have also developed an innovative curriculum structure to better prepare our students for the changing work environment in industry, and creative pedagogy to inject fun learning in CTE. Last but not least, we have put in place a strong and effective academic quality assurance system to instill professional pride and discipline among our CTE leaders and staff to continually improve our CTE system and delivery. The success of ITE in Singapore is a result of system review and staff competency at all levels. There are many useful lessons that could be shared with the global CTE community. At the national level, there are important policy decisions, which must be addressed to position CTE appropriately in relation to the education and economic development of the nation. At the institution level, the philosophy of education and the strategic focus of the management team will determine the quality and relevance of the programs offered, and at the individual level, the passion and commitment to provide innovative solutions and learning activities will contribute to the success of the CTE system in developing and retaining the interest of students. 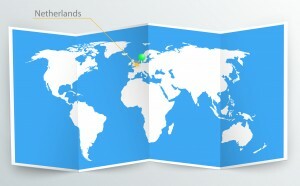 Our success story has attracted the interest of many countries globally. We have frequent visit requests from the CTE community globally, and many of these visits ended up with requests for assistance to review/enhance their CTE system and development of their CTE leadership and professional competency. Currently, we have CTE consultancy projects in some 25 countries around the world, and they cover a wide spectrum of areas including CTE Infrastructure Planning and Development, CTE Leadership Development, CTE Technology and Pedagogic Development, CTE Assessment and Certification Systems, and CTE Academic Quality Assurance System. Â Follow the ITE and Heather on Twitter. Based on their career interests and national exam results, students with keen interest in technical and vocational education may apply to either a Polytechnic college for a â€œpara-professional/technical specialistâ€ level of training or the Institute of Technical Education (ITE) for â€œtechnical skillsâ€ training. Those who do well in these programs will be able to progress further within the Singapore education system. For instance, students can progress from ITE colleges to a Polytechnic and eventually to a university. To prepare these students for CTE options, the curriculum of the secondary schools in Singapore places great focus on English language, mathematics, and sciences. Students are also given opportunities to participate in career guidance activities such as the Experience ITE Programme during their secondary school education. Similarly, secondary school educators are engaged in learning journeys to the CTE colleges to better prepare them for a career and education counseling role in the secondary schools. Q: What sectors/fields of study does VET encompass? Which are most popular with students? A: ITE offers a wide range of courses including manufacturing, engineering, info-comm technology, business and services, design and media, applied science, health sciences, and hospitality-related training. These courses are regularly reviewed and new courses are introduced based on the demand for these skills projected by the various sectors of the economy and government economic agencies. As of January 2015, there are more than 100 different courses offered by ITE. Based on recent trends, those related to services and certain niche courses such as aerospace technology appear to be more popular among applicants of full-time ITE courses. For adult learners, their choice of training is largely steered by their job requirements and career aspirations. Q: How is CTE/VET funded in Singapore? A: Singapore views CTE as an investment by the government to enhance the competitiveness of the nation. The cost of ITE education is almost fully funded by the government, up to 97%. Students only need to pay a nominal portion of the fees to show their commitment to the training. Needy students from low-income families will be further supported by private funds donated by foundations, employers, the community, and individual donors. For working adults attending continuing education and training at ITE, their course fees are also heavily subsidized by the government, in addition to sponsorships given by their employers. The main objective is to encourage more working adults to develop a culture of life-long learning and regularly upgrade and update their skills and knowledge to remain relevant in this fast changing world. Q: What are the major goals of VET/CTE in Singapore? A: The main goal of CTE in Singapore is to maintain its relevance to the workforce needs of the economy. This is a great challenge as there may be a mismatch between the interests and aspiration of youth and the manpower demand of the employers. Working closely with employers to enhance the career development opportunities in their respective technical sectors, to provide good career counseling, and to make CTE fun and attractive for youth, are key strategies to ensure the success of CTE. Follow Singapore’s ITE and Asia Society on Twitter. Seng Hua TAN has spent more than four decades planning and transforming the Vocational and Technical Education (VTE) in Singapore. In his previous appointment as Deputy CEO (Academic) of ITE, Mr. Tan led a major project to revamp all training courses of ITE from single occupation oriented to Career-Cluster Based Curriculum, incorporating work-based and personal life skills learning to prepare ITE students for the fast changing work environment.